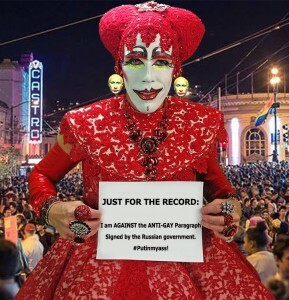 The Sisters of Perpetual Indulgence are perpetually busy. And who doesn’t want their spiritual leader to be hip and up to date?!!! The Sisters of Perpetual Indulgence know how to worship the men in their lives as well as how to hold a fund-raiser! I give you….Hunky Jesus 2013!!! Well done Sisters! And rocking jam Jesus! Special thanks to the DNA Lounge. So…for the last several months I have been laying the ground work for my first full length documentary film Love is All Around. It has been exciting and I have never felt so engaged and in my own skin before! It has been fantastic! 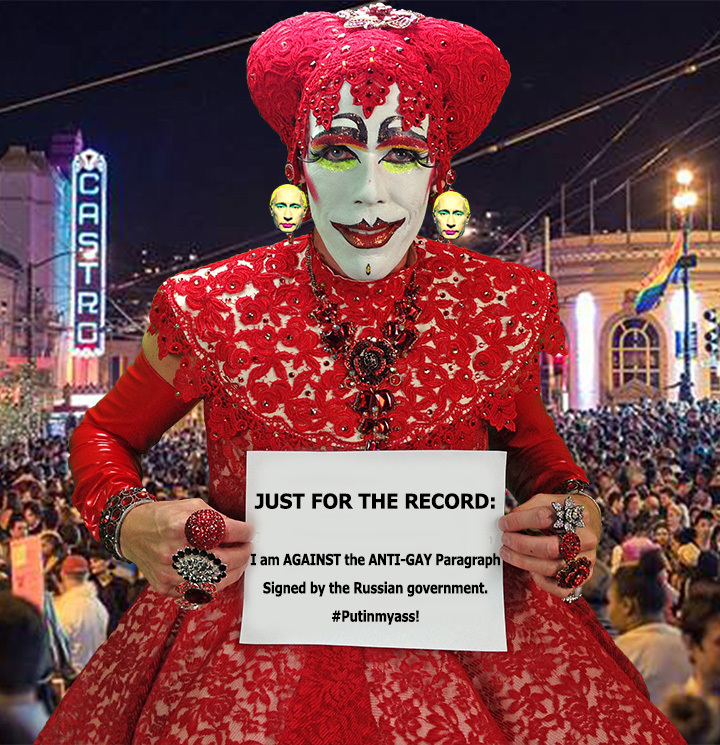 The film is centered on The Sisters of Perpetual Indulgence and their international activism. I will be traveling with them to Shanghai China next June to document their participation in Shanghai Pride. Keep tabs on our group Sisters4Shanghai via Facebook! I will be speaking with ORAM International on the plight of LGBTI peoples in other countries and their work to assist refugees seeking asylum. There will be elements of Sisterly humor to keep the tenor light while shedding light on the very serious issue of LGBTI rights internationally. This is easily the most important work I have ever done and I am so very grateful to have the Sister’s support and inclusion. It is truly an honor. Currently in Russia, Putin’s antigay legislation is translating into real human rights abuses. It is appalling and a huge step backwards for all people gay and straight. It is an assault on us collectively as the human race. On Thursday I did a video shoot with one of the Sisters who was kind enough to go through the process of getting into drag for me and my camera. It was awesome to watch and so fun to document. This is a photo he shared after he was done getting all dolled up expressing his opinion on the current events in Russia. Thank you Sister Flatulina Grandé for a great morning! Glad you didn’t let the face go to waste!